It has the pale transparence of tears. With the floating leaves of maple. Like the twinkling of stars. He carried a peony lantern. The plum petals constantly increase. Lowells Lacquer Prints began appearing in journals as early as 1912, and appeared together, in increasingly larger numbers, in the March 1917 Poetry, Some Imagist Poets, Boston: Houghton Mifflin, 1917, and Pictures of the Floating World, New York: Macmillan, 1919. Reprint, Boston: Houghton Mifflin, 1927. Laugh  it is nothing. Love is a game  yes? Twenty-Four Hokku on a Modern Theme appeared first in Poetry 18 (June 1921): 124-27., and was reprinted in the posthumous Whats Oclock, Edited by Ada Dwyer Russell. Boston: Houghton Mifflin Co., 1925. This book was awarded the Pulitzer Price in 1926, a year after her death. So I have found it. Yet I give you these roses. Who can be sure of himself. Touch me with your love. Spread your hands above my head. I dare not think what I see. At times I have wounded you. Take what I give you. My speach has little for them. One death will not kill us both. Your veins hold my sap. Days and days  what then? On the face of age? How strange to consider time. Can any one so spend life? The bowl is still full. We will not be niggardly. Plunge in both your hands. Each day a new dawn. The wind of his thoughts. 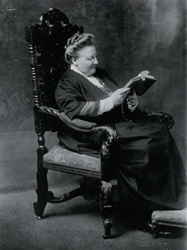 Amy Lowell. Whats Oclock, Edited by Ada Dwyer Russell. Boston: Houghton Mifflin Co., 1925. Amy Lowell. A Book of Women Poets from Antiquity to Now. Edited by Aliki Barnstone & Willis Barnstone. New York, New York: Schocken Books, 1980. Upon the wooden sides of a boat. And the sky changes to a fresher colour. The foxgloves were like tall altar candles. I should have understood their burning. Is the dulled surface of my heart.